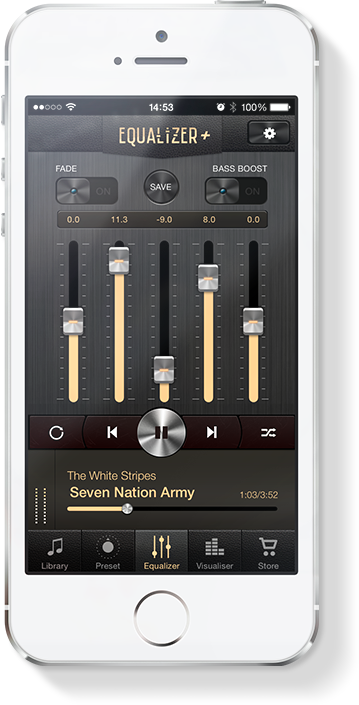 The app transforms your device into an intuitive and efficient music player. Designed to be understandable by all, novices as professionals, Equalizer+ has an easy-to-use and uncluttered interface. All your songs are directly accessible from the app. Just relax…and hit play! 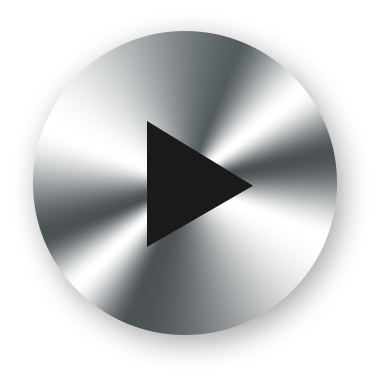 Your music library deserves to be played by a professional music player. 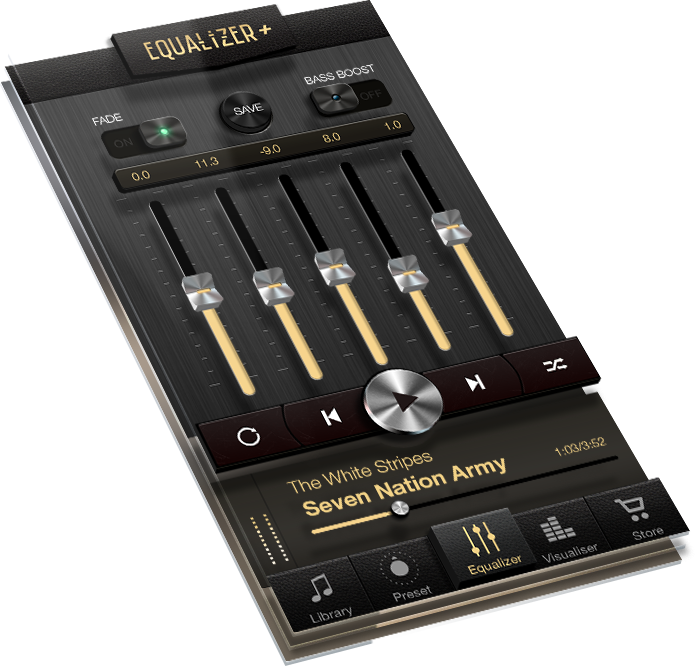 With Equalizer+, you can improve and boost the sound of all your songs. 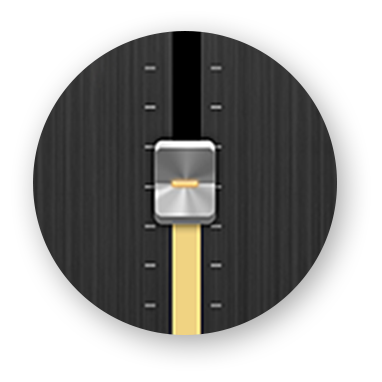 As a pro DJ’s equalizer, enjoy the low, medium and high filters of any track. You can also modify the gain to create the perfect song! 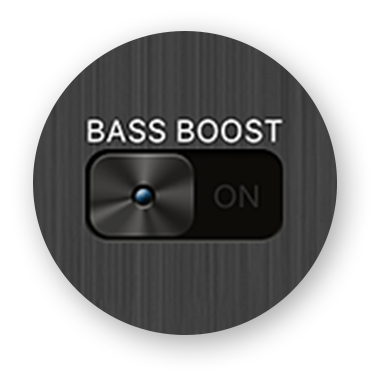 If you want to feel all the power of your music, bass boost it in a single click! Equalizer+ revisits the way to listen to music. The app enables you to literally visualize your songs. With the visualizers, watch the beats’ movements and be enthralled! For a even more unique experience, connect your device to a second screen and watch your sound move on a wider screen thanks to the Dual Screen feature! No useless buttons, no overloads design. 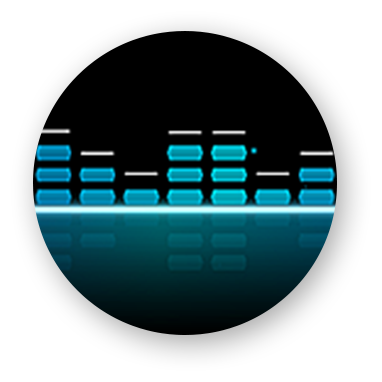 Equalizer+ is a simple and easy-to-use music player. The app is optimized to ensure a smooth navigation at home as well as in the street. Find all the features you need and listen to your music on a worthy player. Go to the Preset view and enjoy the best arrangement for your song. 10 presets are available which are based around different music genres, including all the usuals such as Rock, Pop, Jazz and many more. You can also create and save new customized settings! Eager to listen to your music without any interruption? 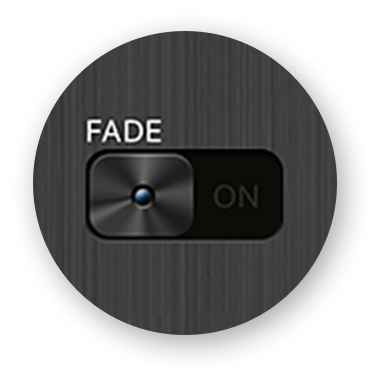 With the Fade feature, enjoy smooth and pleasant transitions. 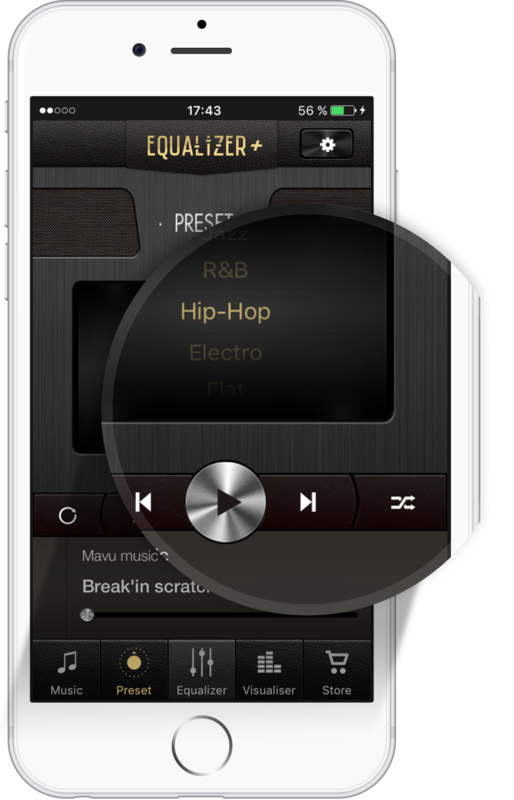 With Equalizer+ you can fade the ending of your songs and listen to a continuous music stream. This way, you can fully savour your playlists! Enjoy a wide range of visualizers (regularly updated). Watch the beats move as if they were alive! Discover and explore the music world in a new and unique way. Change the design of the visualizers as you please and match it to your mood. Bring your songs to life thanks to the visualizer. 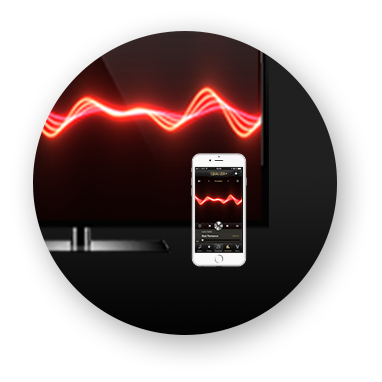 Enhance the experience with the Dual Screen and project your visualizer directly on your TV. Listen to your songs while watching them move. You never experienced such an exhilarating moment!